Blowout Sale! 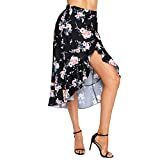 Up to 53% off on Skirts at Felicianeo. 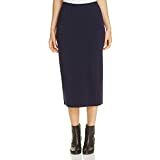 Top brands include Lrud, Monte Carlo Maxi, Eileen Fisher, YSJERA, Style J, Sakkas, Zeagoo, Style & Co., Darshion, Fashion of India, Kasper, Ellen Tracy, TheMogan, Capezio, Calvin Klein, & Notations. Hurry! Limited time offers. Offers valid only while supplies last.